TDS is deducted by the client at the time of payments and is deposited with the Income Tax Department as tax deducted on behalf of the person/entity to whom the payment is being made. Most of the service providers do not object to TDS deductions, as it is allowed to be claimed as a credit after filing the Income Tax return. The only condition to this is that the balance amount after filing the income tax return is required be to taxable and TDS refundable. TDS Refund is not a preformat based application. A taxpayer becomes eligible for TDS refund once s/he files his income tax return and in that, they should be able to detail out the calculation of his payable income tax and also the total TDS which is been deducted over the period for which income tax return is filed. Once the books are updated and the above details are refurbished, any accounting software will automatically reflect the refundable amount of TDS and the same will be refunded in a certain period of time. On filing the income tax return, when a tax payer mentions about any dues in the form of TDS refund, the income tax officer takes time to sanction the refund. 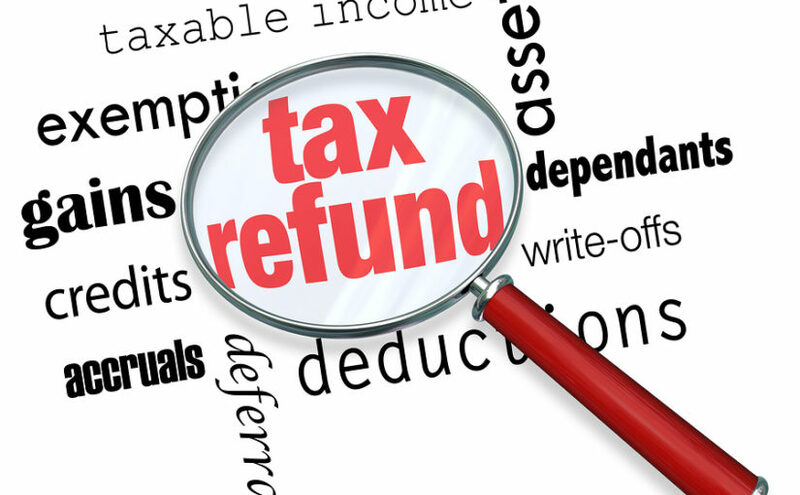 However, the refund comes with an additional interest of 6% per annum in the cases where payable refund is more than 10% of the total tax payable in the same financial year. An intimation is sent to the tax payer under section 143(1) with the refund with the details of the computation of interest. The tax payer can connect with the income tax officer in case of dissatisfaction with the interest paid. Previously some cases were noticed where some agencies asked the taxpayers for their bank details on approval of income tax refunds. Such cases were reported as scam and the Income Tax department alarmed the tax payers to not indulge into such emails or phone calls. The Income Tax department maintains that once a refund is approved, it is automatically credited to the provided bank details. Some of the discrepancies occur due to the mistakes in return filing, the bank account closure, a wrong branch or may be typo error in your IFSC details etc., are the only reasons for delay. Learn how to check the TDS Refund Status? One can easily check the TDS refund status online with the help of the PAN number and the year for which the return is sought. Banks like SBI also provide status of TDS refund thru email and a toll free number. 1. You need to file income tax return to assess the refund. 2. You can expect a TDS refund as soon as you file your ITR. 3. Deductions made as TDS reflect in Form 16 and 16A. 4. Consolidated TDS deductions reflect in Form 26AS. 5. Incase, you fear that deducted TDS amount can surpass the taxable amount that year, s/he can file Form 13 in advance for Nil/Lower Deduction of TDS. Posted on July 6, 2016 May 14, 2017 Author adminCategories CA Services, Taxation ServicesTags Business travel management services in India, CFO services for startups in India, office management services, remote staffing solutionsLeave a comment on How to apply for TDS Refund?